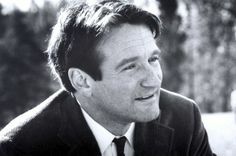 Earlier this week, knocked somewhat sideways by the news of Robin Williams’ sudden death I discovered that a very good friend and fellow fan of Williams’ work had never seen Good Morning Vietnam. 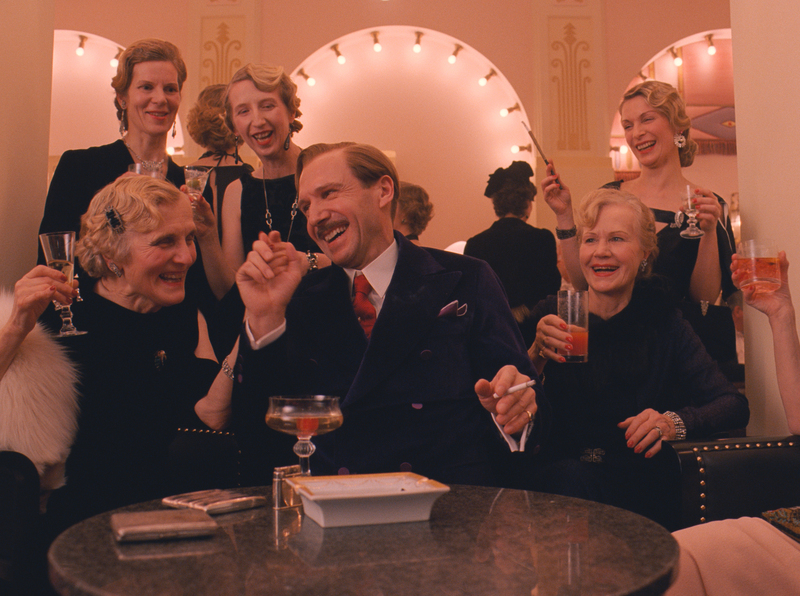 In our best attempt to honour a huge contributor to cinema we sat down to watch it. For my part it has been several years since I watched Good Morning, Vietnam and I’m always interested to find out whether my early cinematic leanings have any value to me when I rewatch them. 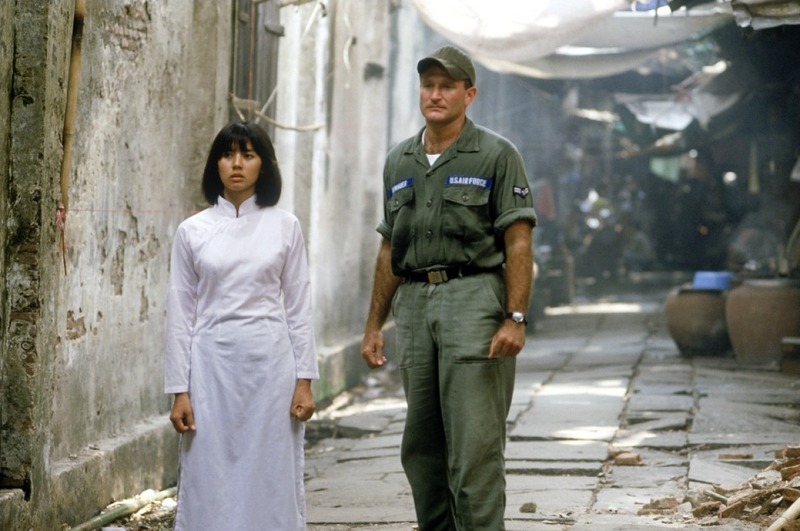 Good Morning Vietnam is one of those great films that can be described as “hard-hitting comedy” or “lighthearted war film”. What this basically means is that it succeeds in having a mature and sophisticated enough script to land its message without melodrama. For a film about the Vietnam War this is one hell of an achievement since I’m not sure anyone could give Apocalypse Now or Full Metal Jacket points for subtlety despite both being very good films. It seems that even though, in real life, you will probably hear a joke about the most recent crisis or disaster, filmmakers shy away from humour in favour of sombre reverence. This is not to say that such events do not require respect, I wouldn’t trust this kind of film in the hands of, for example, the creators of MTV’s Jackass. Yet the tendency to romanticise and dramatize historical events can often alienate an audience rather than give them a window to empathy. Good Morning, Vietnam completely undercuts this trope. Between an excellent script and an excellent performance from Robin Williams we are presented with Cronauer (Williams) the ultimate everyman. He’s technically a military man but really he just seems like a normal guy whose job got transferred to a warzone. It’s difficult to imagine another actor who could so perfectly carry off witty DJ repartee and carry the emotional thrust of the film. On the subject of good performances this film takes on a surreal tone when you realise that Forest Whitaker is is fact playing the klutzy Garlick. Structurally, Good Morning, Vietnam pulls a fast one on the audience. You are lured into a sense of security with this charming parody of the army. A goofball everyman befriends some locals while classic rock and roll accompanies cheery young soldiers on duty. Everything slowly spirals from there as the viewer, concurrently with Cronauer discovers that they have in fact stumbled into something far bigger and far more dangerous and important than they could ever have imagined. The film champions the understated values of consistency and temperance. By the end there’s a sad feeling of helplessness. No one seems to have done anything wrong and yet people are dying. The war continues to only hurt the people who can do nothing to change whether the war exists at all. I have met some people who disputed that this was a war film. I think to deny that would be a great injustice. The human imagination is a very powerful thing and, as the monster is always scarier before he is seen, so the death of the young soldiers is all the more awful for the fact that we don’t even see it. Good Morning, Vietnam shows us the soldiers as human, laughing and enjoying themselves. The script doesn’t bolster their characters with any heroic or noble acts of war, as if that would make their death more tragic. Truly, Good Morning, Vietnam says more about the human condition by being a fun film to watch than many films will ever achieve. This entry was posted in Film Reviews, Personal Screen and tagged Forest WHitaker, Good Morning Vietnam, Robin Williams, War Films on August 18, 2014 by Flo. Richard Linklater’s twelve year production was always going to be a very different viewing experience to the run of the mill coming of age story. Personally I experienced an additional level of strangeness while watching since I realised about halfway through that I am the exact same age as the protagonist. The music and culture is contemporaneous and roots Boyhood into a generation. The generation who stayed up for midnight Harry Potter releases and listened to Cobra Starship during a “rebellious” phase. 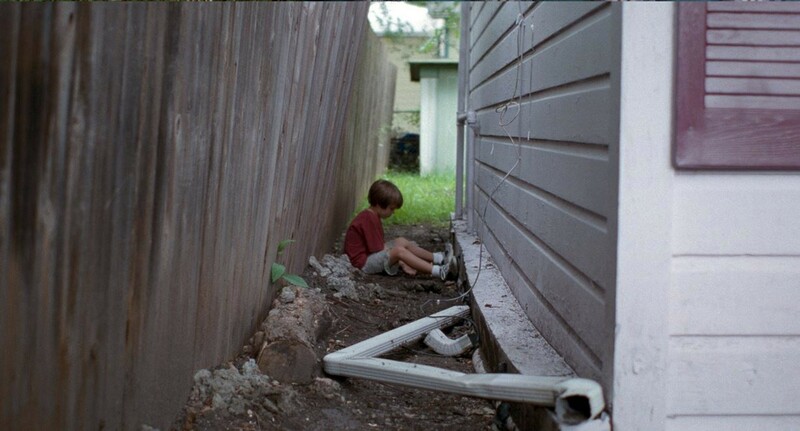 I guess this made the story hit me even harder since it ends with Mason (Ellar Coltrane) going off to college, a milestone I’m just about to pass. But enough about me, onto the film. The film really has four characters, Mason (Ellar Coltrane), his sister, Samantha (Lorelei Linklater), their mother (Patricia Arquette) and their father (Ethan Hawke). With the parents divorced Ethan Hawke and two other men make regular appearances as lovers and/or father figures. The neatly avoided trap is not to delineate the years too clearly. Instead the years slip by as if they were part of your own memories, sometimes you’re not too sure if the characters have grown, other times you see a shocking leap in style, voice and maturity. It’s odd to see the marked contrasts in the children every year while the adults seem to remain completely constant. It’s only when you see pictures of the actors at the beginning and end that the aging process becomes apparent in the older half of the cast. There’s an interesting progression in the directing as the film continues as well. The earlier sections are less slick, a little more out of focus and less subtle than the later parts. It’s hard to tell whether the enjoyment increases due to the improvement in style and acting or due to how hugely emotionally invested you become in the characters by that point. Either way, you can feel the heartbreak deeply when Mason’s relationship, which can’t last more than twenty minutes on screen, breaks apart after two years. By the end of three hours these people seem more like old family friends rather than characters in a film. Bizarrely the exception to this is Lorelei Linklater who seems to give Samantha a more and more distant and cold air every time you see her. This characterisation works in context, since it keeps the spotlight firmly on Mason and his emotions, rather than an ensemble family drama. Boyhood makes a bold statement about the nature of film, a respect to time and continuity that is gathering momentum and breeding a new generation of filmmakers. Linklater is a master at catching the natural, unguarded and deeply important moments of childhood. This entry was posted in Film Reviews, Gold Screen, Personal Screen and tagged Boyhood, Boyhood Review, Ellar Coltrane, Ethan Hawke, Film Review, Lorelei Linklater, Patricia Arquette, Richard Linklater on July 22, 2014 by Flo. 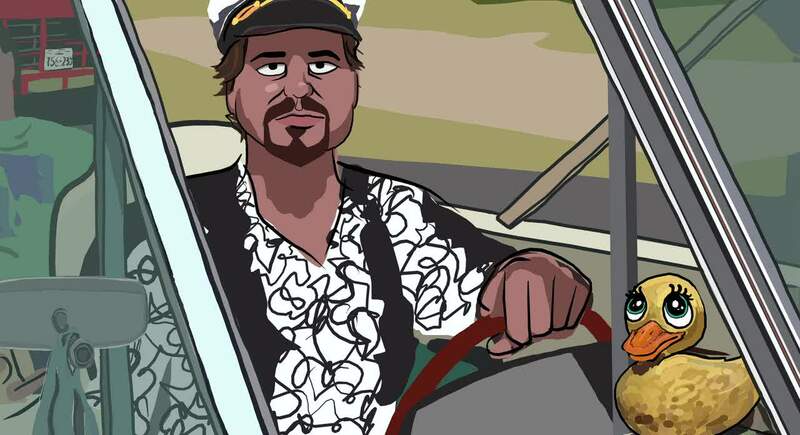 Back in 2001 Richard Linklater, sometime between Before Sunrise and School of Rock (must say, I did not expect that on his filmography) made an animated essay about dreaming. There is really no succinct way to speak about this film. The animation is entirely digital, overlaid onto the previously existing live action. At times it is so accurate as to be uncanny, at others it’s a blur shape and colour. Throughout the film sections of the screen move independently of each other despite logically being fixed spaces. The dreamscape is very powerful but after a while you accept it as real, it stops looking odd for things to be permanently moving. 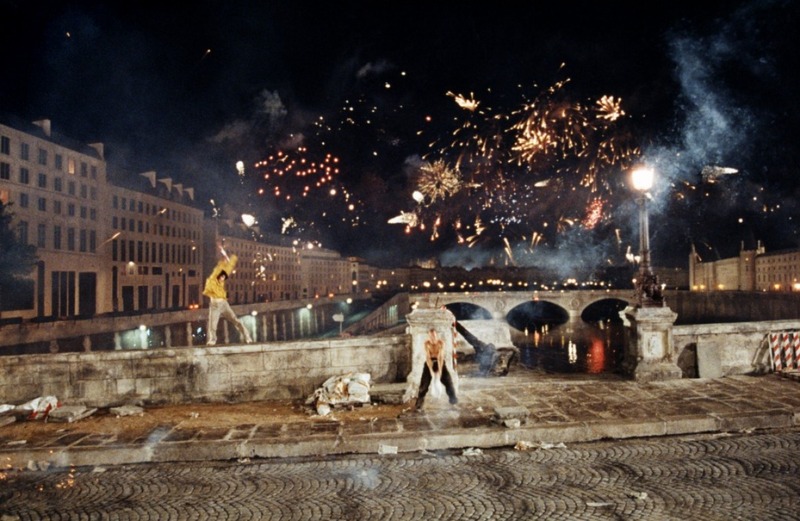 The film moves from person to person: characters, celebrities, characters in other films and even Linklater himself. In turn they share their philosophical perspectives. It’s easy to discount many of these speeches; an angry prisoner, a couple engaging in pillow talk or a group of angry teenagers seem irrelevant and stupid compared to professional philosophers and scientists. As the film wears on it becomes more apparent that every opinion is valid, the absence of jargon doesn’t make the child’s origami fortune teller or the angry rambling less significant. Every one of these people is discussing freedom, dreams and destiny in their own terms. They say very different things between them. It seems as if every single viewer would get a different message from this film, like some kind of confirmation bias. The views you agree with stick around and further your thoughts. The questions raised vary widely: Is there life after death? Is life all a dream? Does society hold us back? Does time even exist? What is the purpose of cinema? Like all good works of art these questions don’t get answered, at least, not definitively. Most of the characters offer at least one answer or opinion but in the end it’s up to the viewer and the protagonist to think these thing on their own. All together it feels like falling into someone’s collection of newspaper clips and meaningful quotes and trying pull the common strands of thought out of the pattern that emerges. There’s no traditional narrative, the narrative comes from you as you link the characters and their words with your thoughts and with other films and culture. The whole thing is packed full of references, many of them to other Linklater films but many more that just show glimpses of a moment that reminds you of something else. The experience will build with each new viewing and it feels as if this is a piece to be re-worked and responded to, not to be holed up and revered as a complete work. This entry was posted in Film Reviews, Personal Screen and tagged 2001, Animation, Dreams, Ethan Hawke, Julie Delpy, Philosophy, Richard Linklater, Waking Life on March 4, 2014 by Flo.